I read an article over the weekend stating that businesses could start charging higher fees to customers using plastic for purchases, but that might be good for consumers and ultimately drive down profit for businesses. Every time you use a credit card, the business is forced to pay a “swipe fee” on that transaction, typically about 3% of the total transaction. These fees are built into the cost of every product we buy, even if we pay cash. Businesses are now trying to decide if they should pass those fees directly on to the individuals who use plastic. In Connecticut, we are already seeing this at the gas station. While it may not be a 3% difference, customers who charge their purchase are typically paying 8 to 10 cents more per gallon. Businesses may be short-sighted though. 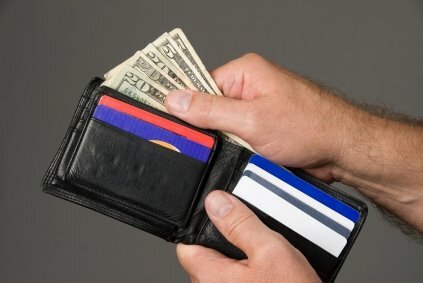 On average, people spend more when using credit, sometimes as much as 20% more per transaction, than those who use cash. There are some businesses where passing on the fees might make sense, like at a mechanic because we really don’t make impulse purchases there (Oh, I just must have those new rotors!). However, it would appear that this tactic may hurt the majority of business from big box stores to your local fast food joint. Last year, the college I work for instituted a 2.5% fee for students who charged their tuition. The parents and students didn’t like it, but as I explained to my students, if the people who charge their tuition don’t pay the fee, you are all paying the fee. I go back and forth with cash. I probably spend a bit less when I pay cash, but I don’t like carrying cash. I do use cash when I can get a discount, like when I purchase gas in Connecticut. I have been using more cash lately to help be stay within my budget but I know there is more cash in the bank if I run out. I also find it is harder to track what I am spending the cash on versus when I use my debit card. It’s a battle I go back and forth with every few months, but I am fairly certain that if I have to pay more to use my debit card, I’m going to use more cash! If businesses started to charge you to use your credit or debit card, would you be more likely to use cash?